The ongoing foreclosure crisis in Massachusetts hasn’t just impacted homeowners. Third-party buyers of foreclosed homes who purchase unlawfully foreclosed properties can also be really hurt in this process, and need to be aware of the risks of purchasing foreclosed homes. 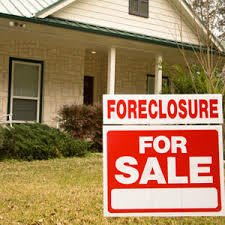 When a home is sold at a foreclosure sale, the lender is most often the person who ends up purchasing the property (against its own financial interest in the home). Occasionally, an unrelated buyer (aka a third-party buyer) ends up buying the property at the sale. This often occurs when the foreclosed property is in a desirable location or the home has significant equity (the difference between the property’s value and what is owed on it). The third-party buyer often thinks he or she is getting a great deal, as foreclosed properties are often sold below the market rate for comparable properties. However, buying a foreclosed property comes with enormous risks. Massachusetts law is abundantly clear that the failure to strictly comply with the foreclosure process makes the foreclosure void (as in, it never happened in the first place). If a mistake occurred in the foreclosure, even years in the past, the property’s title is shot (Ibanez and Bevilacqua are two examples of major foreclosure law cases on this matter). Recent cases reaffirm that even minor defects can have serious consequences on the validity of a foreclosure. If the former homeowner is still residing in the property, it gets even more tricky. To obtain possession of the home, the third-party buyer needs to evict the former owner, and the former owner is permitted to argue as a defense that the foreclosure was void even though an unrelated party did the foreclosure. In other words, the third-party buyer needs to defend a foreclosure it never performed and bears the full burden of proving it was done correctly. This isn’t to say that all foreclosures are void. Many are done correctly, and even if the foreclosure was done improperly, such mistakes can eventually be corrected. But, there is no doubt that the purchase of a foreclosed property comes with risks. What’s a potential third-buyer of a foreclosure to do? Proceed with caution. These potential buyers need to do their research and, most importantly, get title insurance to protect themselves if a mistake did occur in the foreclosure process. When possible, third-party buyers should also reach out to the former homeowners and see if a settlement can be reached to avoid problems down the road. This entry was posted in Massachusetts Foreclosure Law Blog and tagged foreclosure, foreclosure process, practice pointers, summary process. Bookmark the permalink.